Jens Weidmann of the German Bundesbank provided a keynote lecture. Klaus F. Zimmermann of the Global Labor Organization (GLO) spoke in a panel on social cohesion and labor mobility. 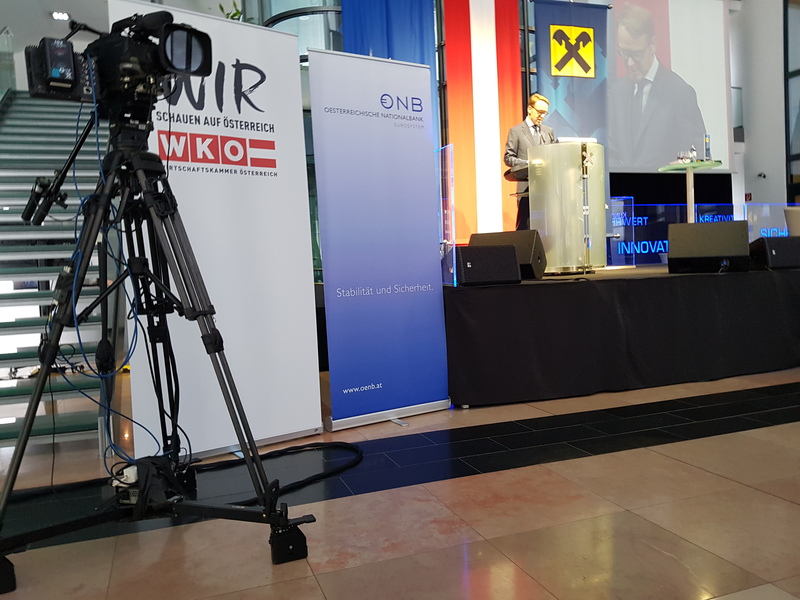 The 45th Economics Conference of the Oesterreichische Nationalbank (OeNB) with the Austrian Federal Economic Chamber (WKO) took place on July 5, 2018 – July 6, 2018 in Linz/Austria. “Economic and Monetary Union – Deepening and Convergence”. The most prominent keynote speaker of the first afternoon was Jens Weidmann of the German Bundesbank followed by three panel sessions. Klaus F. Zimmermann (UNU-MERIT and Maastricht University), who is also the President of the Global Labor Organization (GLO), spoke about the role of labor mobility for social cohesion. 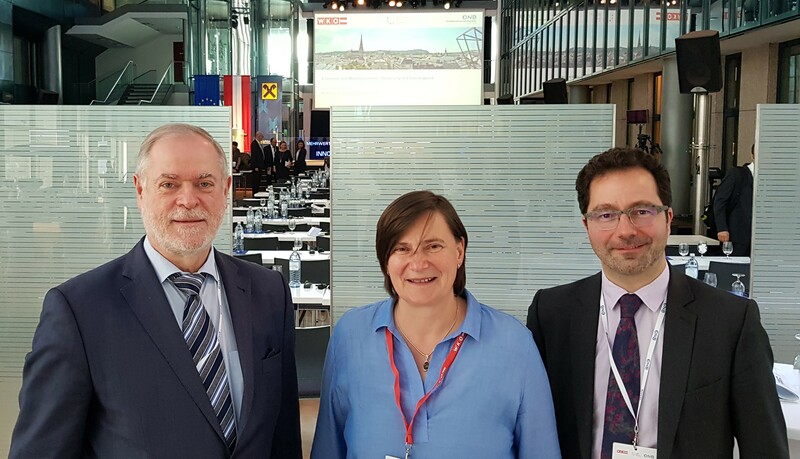 Klaus F. Zimmermann, Angela Pfister & Thomas Liebig — the panelists on social cohesion and migration. Angela Pfister works for the Austrian Trade Union Federation (ÖGB). Thomas Liebig (OECD) is a also a Fellow of the Global Labor Organization (GLO). Thomas Liebig is co-author of a prominent recent research paper that documents how economies in Europe and the United States have adjusted to asymmetric shocks in the recent Great Recession. It has been the GLO Discussion Paper of the Month in February 2018 and is forthcoming in the Journal of Population Economics. Jauer, Julia & Liebig, Thomas & Martin, John P. & Puhani, Patrick A., Migration as an adjustment mechanism in the crisis? A comparison of Europe and the United States 2006-2016, GLO Discussion Paper 178, February 2018. Free download. Abstract: We estimate whether migration can be an equilibrating force in the labor market by comparing pre-and post-crisis migration movements at the regional level in both Europe and the United States, and their association with symmetric labor market shocks. Based on fixed-effects regressions using regional panel data, we find that Europe’s migratory response to unemployment shocks was almost identical to that recorded in the United States after the crisis. Our estimates suggest that, if all measured population changes in Europe were due to migration for employment purposes – i.e. an upper-bound estimate – up to about a quarter of the asymmetric labor market shock would be absorbed by migration within a year. However, in Europe and especially in the Eurozone, the reaction to a very large extent stems from migration of recent EU accession country citizens as well as of third – country nationals. See also a recent debate about internal labor mobility in Europe and Austria. For a link to the Full Program click Program on this page.